There’s definitely a strategy to writing an effective email to a college coach. In fact, emails are a great way to introduce yourself to a coach and start a dialogue if they are done the right way. Conversely, a poorly written, impersonal email loaded with typos and without the necessary information has no chance for success. 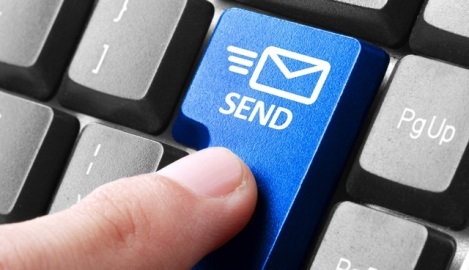 Believe it or not, most college coaches actually look through their emails daily. When a player expresses sincere interest in a program and their abilities are a fit, an introductory email can spark interest from most college coaches. Given those facts, why wouldn’t you take a little time to do it right the first time? If you don’t, you probably won’t get a response. Most unsuccessful recruiting emails have the same flaws. Here’s the five we see most often. I don’t know about you, but when I receive a “canned” or “form” email, I almost immediately delete it. If it’s obvious that the sender doesn’t know me and doesn’t know anything about me, I’m not even going to take the time to read the first paragraph. So, if you think a general email with no personal touch will be well received by a college coach, think again. My name is Travis Nortonsburg and I want to play collige (yes, that’s how he spelled it) baseball for your team. I am a junior at Trinity Senior High School and I think I will make the varsity team this year. When do you start handing out scholarships? Needless to say, he didn’t get any responses and he certainly wasn’t added to any prospect lists. When writing an email to a college coach, you have to make it easy for the coach to quickly decide whether or not you might be a fit for his or her program. College coaches receive hundreds of emails every week and they just can’t spend a lot of time on every email they receive. The best way to make it easy for a college coach is to provide a link to your highlight video. A college coach can decide on most prospective recruits after watching 45 seconds of video. Even if they read your email, if they can’t view your video you have zero chance for a response. Think about it logically. College coaches want great student-athletes who will represent their team and institution in a positive manner every day. To identify those players, the coaches need to get to know you and they want to talk with the coaches who see you at practice, watch you in games and talk with you daily. Every college coach in the country will contact the high school and/or select coach for any athlete they are serious about. Providing the contact information for your current coaches in your email will make it easy for college coaches to contact them and “get comfortable” with you as a student-athlete. One of the most common ways to ruin an email to a college coach is to overstate (or understate) your athletic or academic statistics and accomplishments. I get it, it seems harmless to round down your 40 time, or project where you might be athletically in a few months, but that’s the fastest way to get your name permanently scratched off a recruiting list. If you think college coaches don’t cross-check this information, you are wrong. Every college coach will verify your stats and grades before they invest any significant amount of time recruiting you. If for some reason you understate your academic or athletic accomplishments or statistics, you’re selling yourself short. It’s ok to be proud of your achievements and there’s a way to present them so you don’t come across as braggadocios. Just be honest about your abilities and achievements. Coaches know that for underclassmen they need to project where each player might be as a senior. They also understand that some athletes develop later than others. If you’re realistic about your abilities, your chances to find a college scholarship increase dramatically. If you overstate your statistics and abilities, how do you think a coach is going to react when he or she finds out you were faking it? And if you understate your abilities, you’re just hurting yourself. If you’re going to take the time to send emails to college coaches, take the time and get it right the first time. Make sure you avoid the top 5 characteristics outlined above and you’ll have a good chance of starting a conversation with quite a few college coaches.